envoy enterprises: Martynka Wawrzyniak is interviewed in The New York Times T Magazine for "Smell Me"
Who: The performance artist Martynka Wawrzyniak. What: A new solo exhibition called “Smell Me,” at Envoy Enterprises (87 Rivington Street) opens this Saturday and runs through Nov. 18. 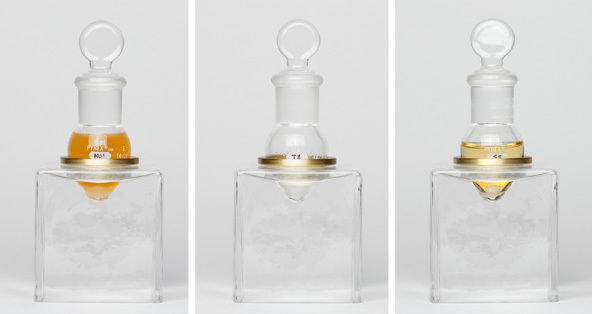 The show is all about olfactory experience (so no sniffles, please) and features handblown chemistry vials containing Wawrzyniak’s sweat, tears and hair, as well as a scent chamber (Lady Gaga lent a scent diffuser from her recent perfume launch for the occasion!) in which visitors can inhale a synthetic compilation of Wawrzyniak’s bodily essence.